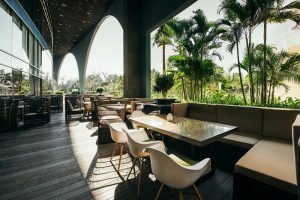 Golfing legend Greg Norman and chairman Le Van Kiem outline the charms of KN Golf Resort in Cam Ranh and Vietnam’s rich potential for golf tourism. 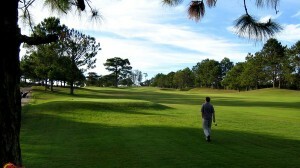 Can you share special features of the golf course? 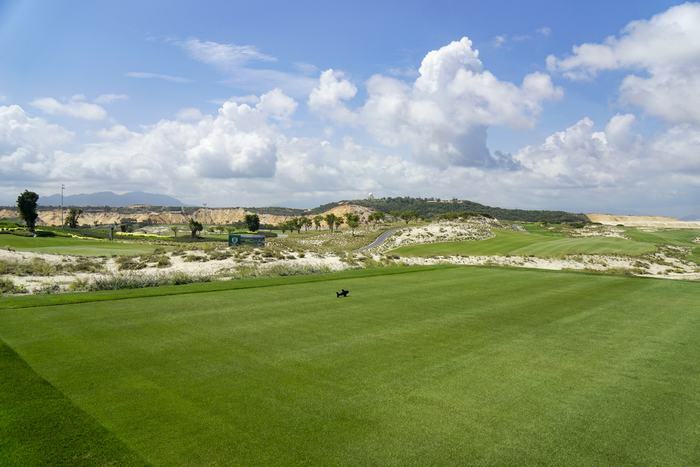 This 27-hole golf course is located in an ideal place, alongside 4.5 kilometers of Long Beach- one of The Best Beaches of the world. It is the first construction of the luxury resort complex system – Paradise Resort, including 4, 5, 6 star hotels. 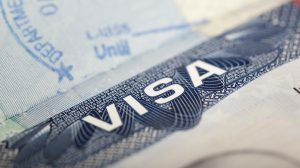 The golf course is near the recently opened international airport and port, very convenient for traveling by road or train throughout the country. 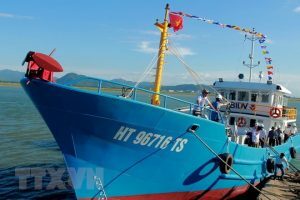 There are many things I would consider unique about our course in Cam Ranh, but the two that stand out the most are the magnitude of the site and the location. 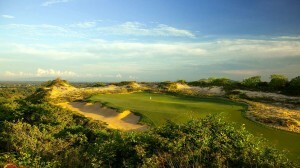 Several holes have amazing views of the ocean or other natural coastal features and there’s not a tree on site. It’s pretty awe inspiring when you stand on an elevated tee box, fairway or green and see the beauty of what’s around you. It’s hard to imagine that such a magnificent golf course is just 5 kilometers from the runway of an international airport. Chairman Kiem allowed us to route 27 holes of golf on the site before any other planning was done, so we were able to incorporate some spectacular features into the layout. The majority of dune formations along the coast of Cam Ranh are broad and more gradually undulating than other parts of Vietnam. 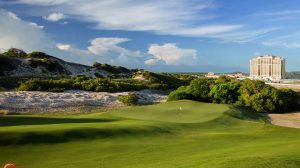 We took extreme care in laying out the course to ensure that golfers can take in the entire coastal experience as they play their round. It’s a very a special piece of property and I commend Chairman Kiem for having the vision to build this mega project in such an amazing setting. 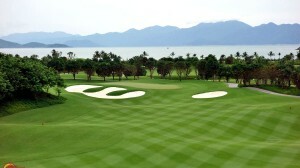 It will certainly raise the bar for golf resorts in South East Asia. 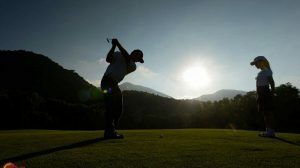 The potential of combining golf and real estate? 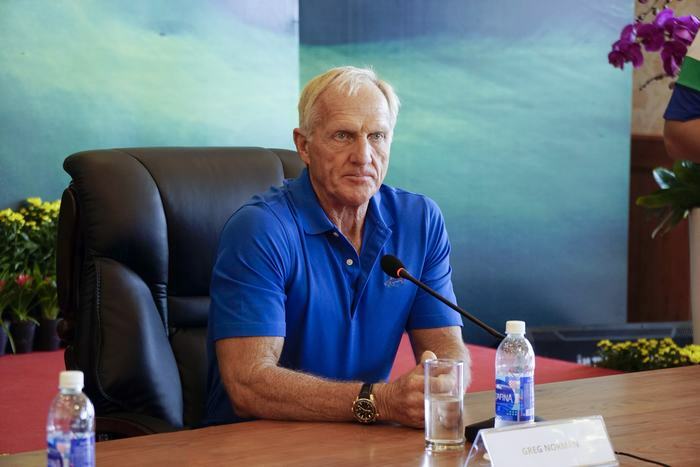 Greg Norman and I share the same idea about combining golf and real estate. 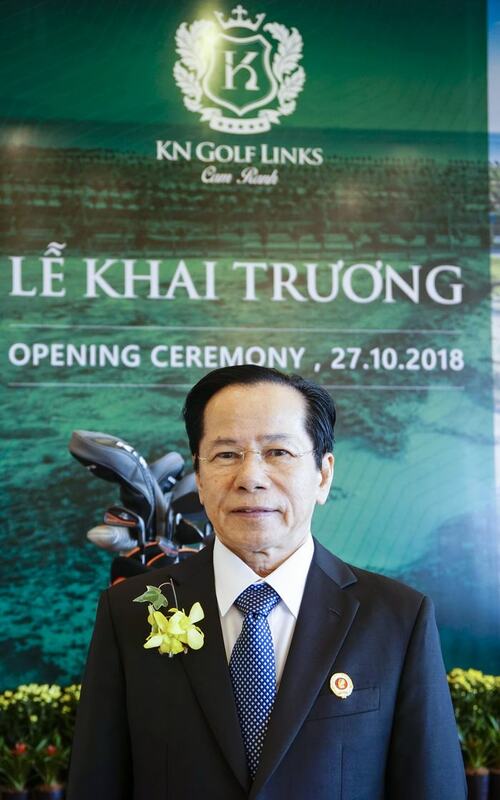 I myself have invested in the first golf course project that combines a 1200ha resort, commercial and service center in Dong Nai province. 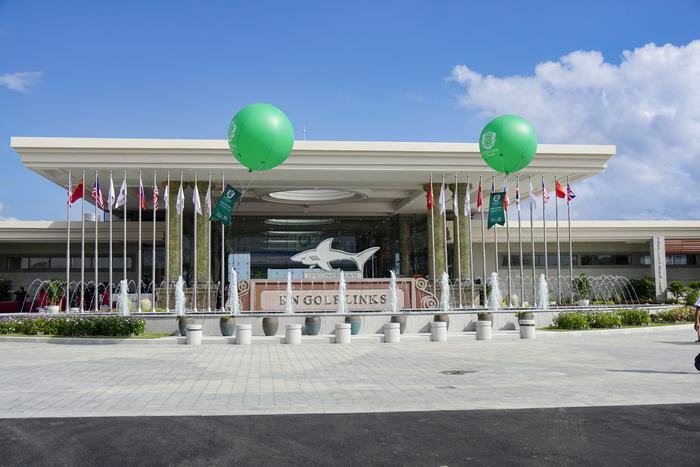 This project is very successful as it serves both golf tourists and foreign investors. 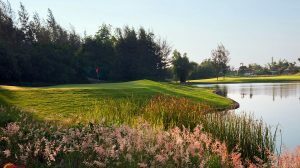 In addition, trees and lake system inside the golf course also play an important role for giving a fresh environment for the whole area. In my perspective, the combination between golf and real estate has a great potential. 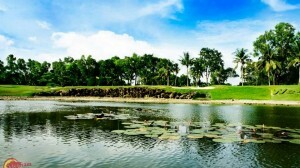 With 50 golf courses in operation and many new projects, it is a big opportunity for real estate. 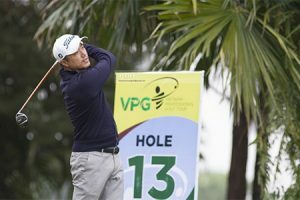 Nowadays, as the number of golfers is growing fast in Vietnam, they have a big need to combine traveling with playing golf. 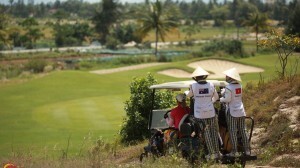 Potential of Vietnam’s golf tourism? 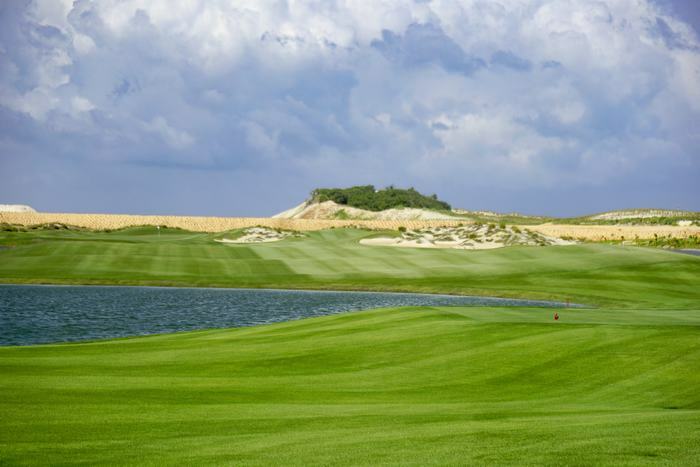 I think in general, Vietnam is very suitable to build golf courses, as we have many features of which other countries do not, like enormous land, mild weather, and outstanding scenery. 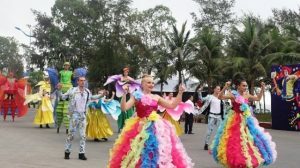 In addition, the location of Vietnam on the world map is also very convenient to attract tourists from abroad. 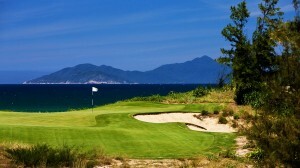 Up to 15.3 million tourists visit Vietnam each year and 0.5% of them play golf.  Imagine when the numbers increase 1.5-2% in the coming decades, it creates huge potential for Vietnam to develop golf tourism. That’s why I came here to design golf courses.